Can You Even Count the Benefits of Defining Wisdom as Humility! There were 104 press releases posted in the last 24 hours and 153,261 in the last 365 days. 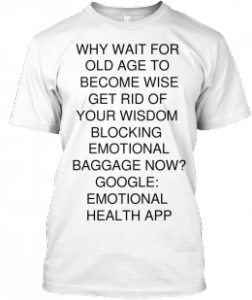 The sooner you get rid of your emotional baggage; the sooner you will become wise. Wisdom is nothing but humility. You can enjoy the wisdom fruit much sooner than you think. Imagine a world where the vast majority is wise. — Sajid Khan, Creating wisdom is as easy as lighting a fire! RIDGEFIELD PARK, NEW JERSEY, UNITED STATES, March 17, 2017 /EINPresswire.com/ -- Knowledge is a function of the mind while wisdom is a function of the brain. Knowledge comes from regular/mind education; while wisdom comes mainly from upbringing/brain-education. As we have cutting-edge mind education, we have cutting-edge experts and as our brain education is fuzzy; cutting-edge wise human beings are rare. It is an unnecessary tragedy that is created by the ignorance of our experts. Our experts have taken for granted that wisdom is a stand-alone entity. This misguided assumption alone keeps the world trapped in ignorance about wisdom and makes wisdom mostly impossible to define adequately; let alone teach and create. The blunder of not recognizing that wisdom is a secondary entity results in keeping wisdom cloaked in mystery. Wisdom is the smoke where emotional health is the fire. It is like trying to figure out and create smoke, without lighting the fire. This simple mistake is costing the world peace, happiness, relaxation, health, prosperity and all the goods things in life that come with a rational society. ﻿Just imagine the time lost, effort, pain, economic losses, the individual, group and country tragedies; all this is due to defining wisdom as a stand-alone entity. Imagine not knowing that smoke is generated by fire; and what will happen if one tries to create it on its own. It is the same with trying to create wisdom on its own. Using the formula of our wisdom experts, it is as hard to create wisdom as creating smoke without lighting the fire. Using my formula it as easy to create wisdom as creating smoke by lighting the fire! Imagine if only there were some books on how to create emotional health instead of all these tens of thousands of books on wisdom and emotional intelligence. I have figured out that humility generates all the attributes of wisdom. Look at all the benefits of defining wisdom as humility. Humility is the power that will create one single and continuous Wisdom Land across the world. All the ills of society will be solved through humility. Humility is the formula for health, happiness, prosperity and peace. While negotiating for peace all that is required is to bring humbleness to the peace table by all warring factions. Wise parenting is cultivating humbleness. Great leadership boils down to leading with humility. Creating a wise world is creating a humble world. Please share this with your leaders.